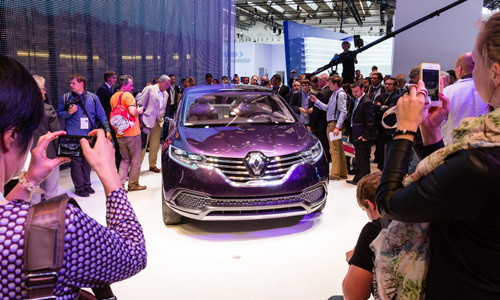 Initial Paris concept car revealed! Mégane Estate, Mégane coupé, Mégane R.S. 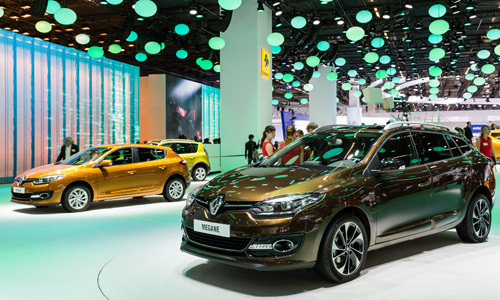 and Mégane hatch now feature Renault's new design idendit and now come with new equipment such as R-Link. Alexander Agag, executive director of Formula E visited the stand to reveal the Spark-Renault SRT_01E single-seater. 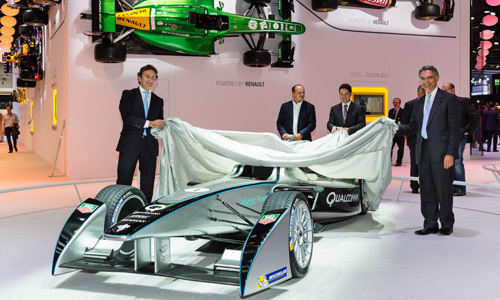 This car will be used by the ten teams in the competition starting September 2014. 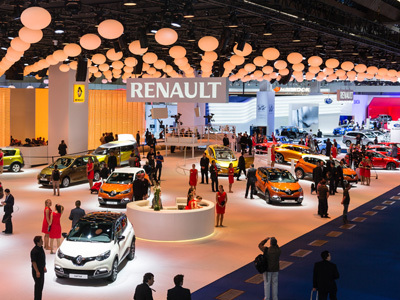 Technical Partner of Spark, Renault builds on the skills of engineers from Renault Sport Technologies and Renault Sport F1 to monitor and optimize the performance and safety of the car. 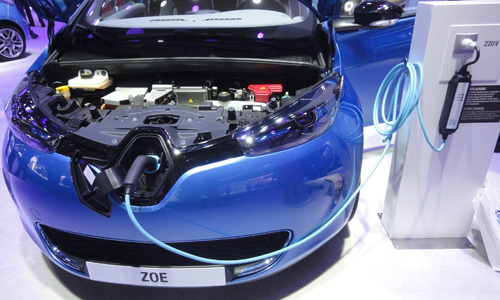 Available beginning of 2014, the cable for occasional charging for ZOE was on display on the stand. 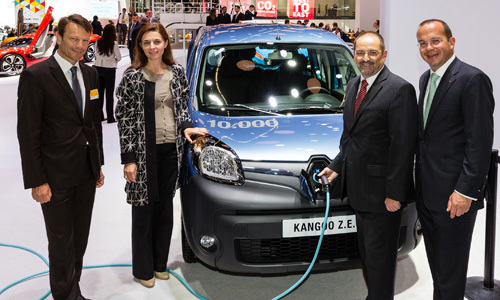 We're also proud to announce that we sold the 10,000th Kangoo Z.E. to a German customer who came to visit the stand and met Beatrice Foucher (Director of the electric vehicle program). A lot of journalists came to visit the stand on the first two press days. 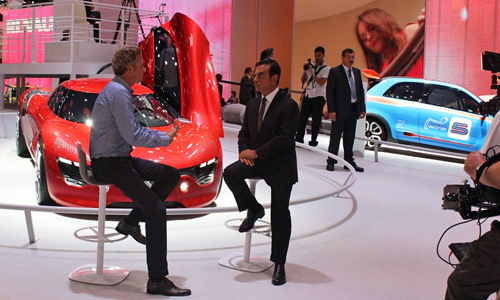 Here's Denis Brogniart of Auto Moto (on French TV channel TF1), who came to interview our CEO, Carlos Ghosn.